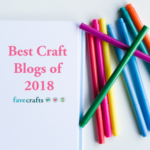 When finishing up the Moogly CAL 2016 afghan, I needed a border – something with lots of texture! 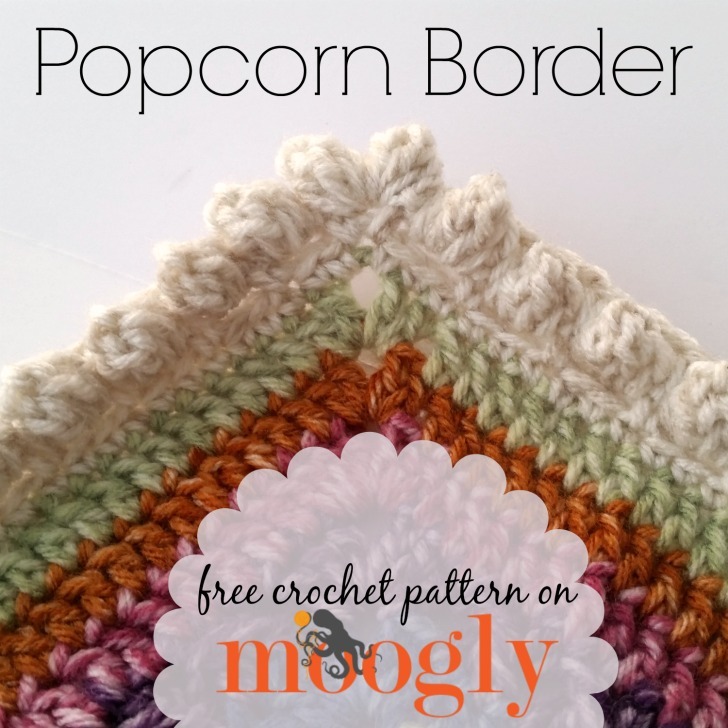 And that’s how I came up with the free crochet pattern for the Popcorn Border! 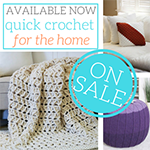 The Popcorn Border makes a great crochet edging for blankets, baskets, scarves… anything you like! 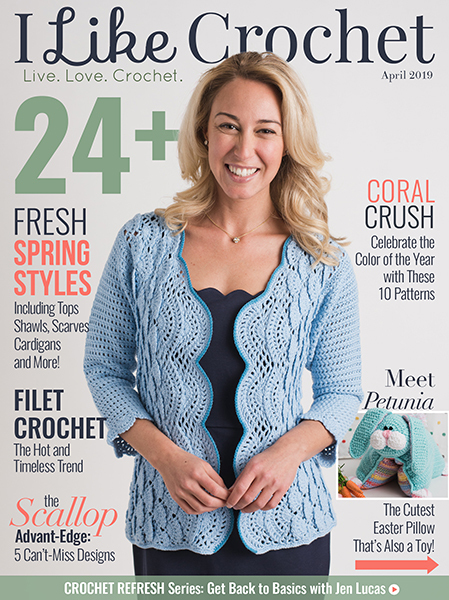 And popcorn stitches are just plain fun to make too! 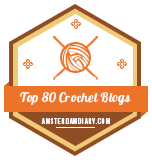 Gauge and sizing will be dependent on yarn and hook used. Set Up Round: (If you are working this border around squares that have been edged using the Tight Braid Join, then you can skip this round and go straight to Round 1.) 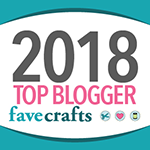 Work around the blanket with your “background” color as follows: *sc, ch 2, skip 2 sts; repeat from * around, working (sc, ch 2, sc) in each corner stitch or space. The total number of ch-2 loops does not matter. Join to first sc. Round 1: Join (or sl st) to any ch-2 sp, popcorn in ch-2sp, ch 2, skip next st, *popcorn in next ch 2 sp, ch 2, skip next st; repeat from * around, working (popcorn, ch 2, popcorn, ch 2) in each corner ch sp. Join to first popcorn. Round 2: Ch 1, *sc in next skipped sc st of set up round, enclosing the ch-2 from Round 1, ch 2 (slipping this ch behind the next popcorn); repeat from * around, working 1 sc between popcorns in the corner ch-2 sps. Join to first popcorn and finish off. 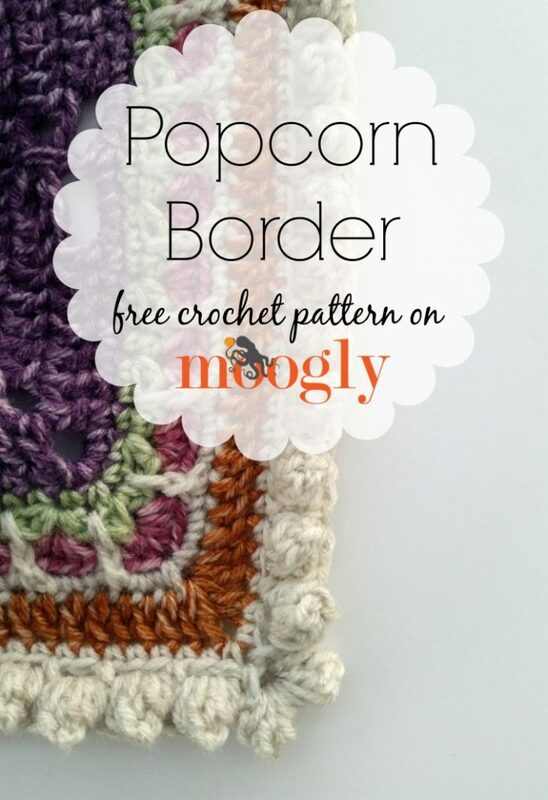 And that’s it for the Popcorn Border! 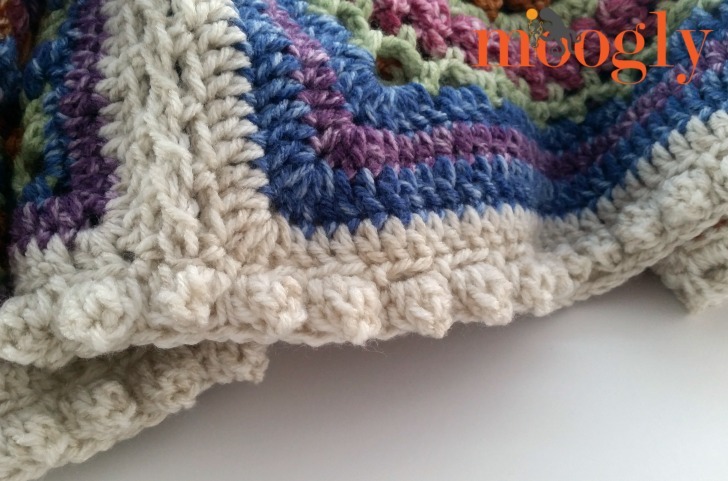 It’s quick, easy, and creates a great textural POP along the edges of your blanket! 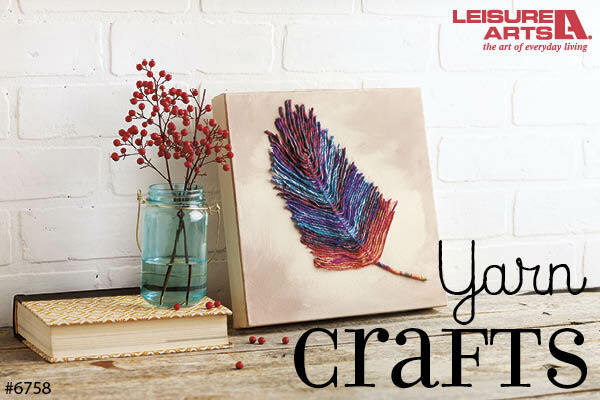 Try changing colors between rounds for a different look – I can’t wait to see what you all do with it! 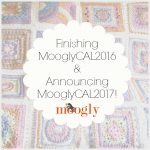 Finishing 2016 and Announcing the Moogly CAL 2017! 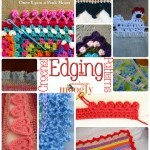 Living on the Edge with 10 Free Crochet Edging Patterns! 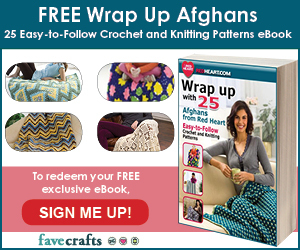 Would an even or odd number of stitches work? 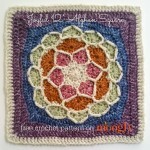 This is a lovely border, thanks!